The KBC was founded in 1928, during British colonialism. Until the 1990s it was the only Kenyan TV station. After Kenya’s independence, the station was renamed into “Voice of Kenya” and it became the official mouthpiece of the Kenyan government. Especially Daniel arap Moi’s regime had a tight grip on the KBC. Each broadcast began with a report what the president had been doing that day. In 1989, the name was changed back to KBC again, also because this way a link was established again to the prestigious BBC (British Broadcasting Corporation). 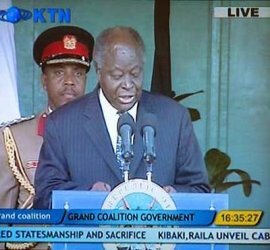 Under president Mwai Kibaki (since 2002), the media gained a lot of freedom. There are still tensions between politicians and the media, but currently the media can be, and are, very critical of the government. KBC also has a separate entertainment TV channel, KBC Metro. KTN is the second main TV station. In 1990 it was the first TV station in Kenya to break the KBC’s monopoly. In the first period, KTN’s speciality was ‘activism journalism’. It developed it’s own aggressive and sophisticated news style. Since then it however turned more to business reporting. The success of KTN has been an inspiration to other African journalists. It had a huge impact on Kenyan culture and many sectors and business profited from this, such as the theatre, music and fashion industry. Many KTN reporters double as correspondents for, among others, CNN and the BBC. Foreign correspondents often rely on KTN coverage and use it’s facilities to produce their own news footages. Nation TV (Channel 42) is owned by the Nation Media Group, Kenya’s largest media corporation which also owns the newspaper Daily Nation and the radio station 96.4 Nation FM. Cross-ownership of the media in Kenya has raised questions about the independence of the Kenyan media. The station was officially launched by Kenyan vice president George Saitoti in a grandiose ceremony at the Safari Park Hotel in Nairobi. The station’s reach is an average of 100 kilometers from each of the towns of Nairobi, Mombasa, Kisumu, Eldoret, Nyeri, Nyanyuki and Meru. It has quickly won importance. Several NTV journalists have received the CNN Journalist Award of the Year. Family TV, together with Family FM radio station, is owned by TBN Family Media. TBN stands for Trinity Broadcasting Network. This is a Christian organisation which, in it’s own words, “seeks to provide an alternative form of TV and radio entertainment that is uplifting , informative, positive and life-transforming”. It broadcasts current affairs programs, movies, shows and documentaries, with a religious angle. Sayare (short for ‘Sauti Ya Rehema’) has has both a TV and a radio channel. It is a Christian broadcasting organisation which airs mostly Christian and gospel programmes, foreign and locally produced, both in English and Swahili. It has 5 transmitter stations in Nairobi, Timboroa, Nyanundu, Mombasa and Eldoret. Citizen TV is owned by Royal Media, a multimedia house which also owns 8 radio stations, most of them local but together covering the bulk of Kenya. 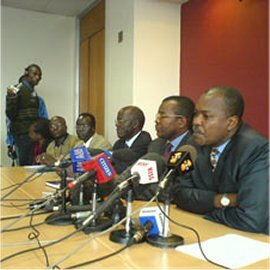 Citizen TV began broadcasting in 1998. It broadcasts both current affairs programs and entertainment. Of all TV stations in Kenya, only the Kenya Broadcasting Corporation is government-owned. The other TV stations in Kenya are privately owned.